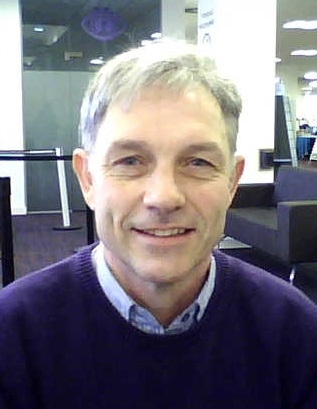 This Wednesday we are delighted to have Peter Lumsden with us for #LTHEchat to discuss ‘graduate attributes’. In Graduate Attributes, Learning and Employability, edited by Hager and Holland (2006a) they characterised the relationship between the term ‘graduate attributes’ and learning and employability as being one of change: changing conceptions of learning as well as constantly changing opportunities and requirements for employment. Although published nearly 10 years ago, that transition from a period of institutional specification of skills development, to a more student-centred focus to the design and direction of learning programmes is still incomplete. The argument that the focus on graduate attributes needs to be located as part of a lifelong learning framework is still current, and indeed timely, as at least some institutions appear to be looking afresh at identifying and reinforcing programme level outcomes as a driver for curriculum design. Peter is a principal lecturer, until recently in the Learning Development Unit, at the University of Central Lancashire, now in the school of Medicine. Before that he classed himself as ‘a biologist’, having developed his research in the area of flowering and photoperiodism. Now he sees himself as an educational developer, involved in the teaching and coaching of staff, and carrying out educational research into feedback, and personal development. He also has an interest in career development of post-graduates, and has worked extensively with the Society for Experimental Biology in delivering career workshops both in the UK and in Europe. He is a local preacher in the Methodist church, is interested in the public perception of science, and in the relationship between religion and science. This entry was posted in guest and tagged graduate attributes, Peter Lumsden. Bookmark the permalink.